The main organizer is the Faculty of Mathematics and Computer Science (Babeṣ-Bolyai University). Participants willing to participate may register on the conference website. In the first stage, only the name and affiliation are required. Submission of Papers: December 15, 2018. 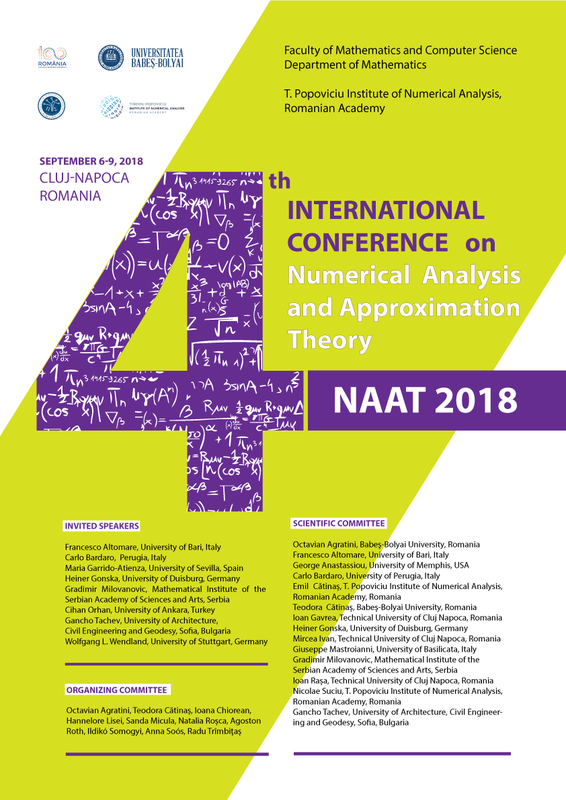 Special fees for (young) mathematicians from Romanian institutions. Update on September 4, 2018: the conference schedule and the book of abstracts is available as PDF, see below.